Meet Me at the Barre at the Boston Ballet School! Bored with barre classes, burned out from spinning, and looking for a way to diversify my workouts, I was thrilled when the Boston Ballet asked if I would be interested in taking their Intro to Ballet Adult Workshop. Dance classes are a great alternative to hitting the gym, which lately has just been so exhausting and not very much fun for me. 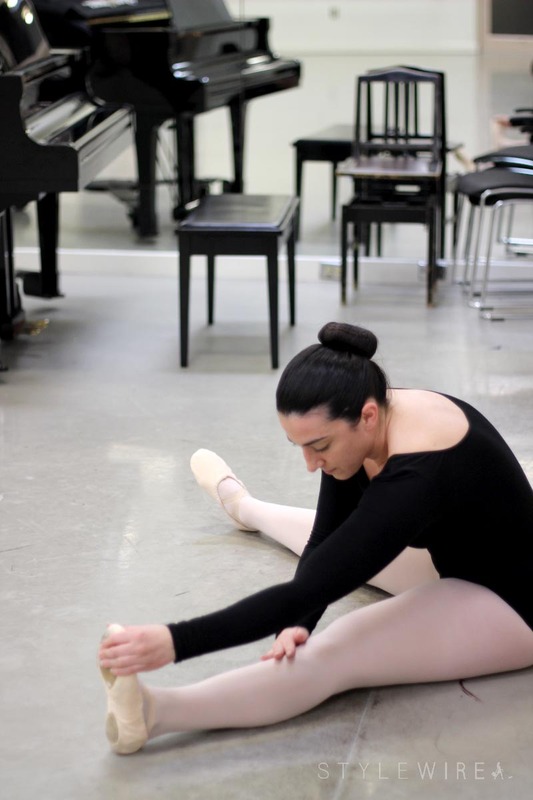 It's literally been over 20 years since I stepped into a ballet studio, but it all came right back to me after my first class at the Boston Ballet School! Whether you've never danced a day in your life or are revisiting a forgotten passion, there are classes available at every skill level. I enrolled in the Intro to Ballet II workshop (I skipped over Intro to Ballet I) and while my chassés and pliés certainly need some practice, I didn't feel left behind or out of place in class. On the contrary, my classmates are all super supportive and at times, just as confused as I am! There are both male and female students ranging in ages from 18 to well over 40. These workshops are all about learning and growing and simply enjoying the art of ballet. Our instructor for the series, Flora Kim, is wonderful. She's super sweet, extremely knowledgeable, and always willing to help her students improve their practice. Classes begin with about 45 minutes of barre work and after a short break you repeat it all off the barre. For the last 15 minutes of class, we usually work on traveling movements and short pieces of choreography. After almost every class we line up with questions and Flora is always happy to answer our questions and help us with any movements we are struggling with. Since starting classes at the Boston Ballet I've discovered a love for ballet that I didn't know I had. I've always enjoyed attending the Boston Ballet, but I have so much more respect for the dancers knowing the back bending work that goes into mastering ballet. My 5 week Intro to Ballet Workshop just ended, but tonight I'm starting Beginner Ballet I. Wish me luck! 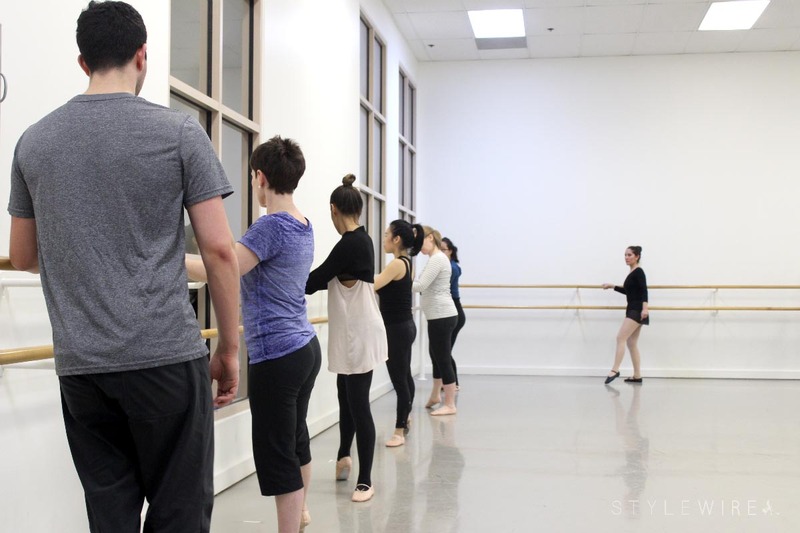 You can learn more about the different workshops the Boston Ballet offers at the Boston studio as well as their Newton studio on the Boston Ballet website. I hope to see you at the barre soon! I was provided complimentary admission to the Intro to Ballet II 5 week workshop for review purposes. All opinions expressed are my own. Thanks for supporting those who support Style-Wire.com!